DMG files are not natively supported by Microsoft Windows OS. DMG format is a native Mac OS disk image format which is used to distribute installation packages within Mac OS. In order to open DMG file on Windows you will need a special software which has support for this format. There are two applications which have the most comprehensive support for DMG file format. They are 7-Zip and DMG Extractor. 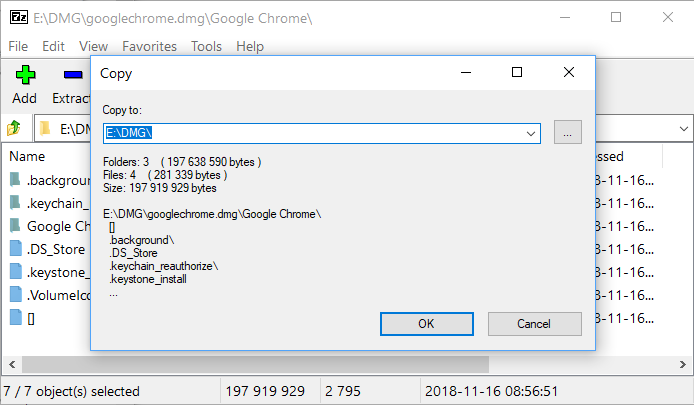 7-Zip could be downloaded from https://www.7-zip.org/download.html while DMG Extractor is available from https://www.dmgextractor.com/. 7-Zip application has functionality similar to one of file explorer. That means when you open it you can navigate through all your disks and their contents using 7-Zip user interface. In order to open your DMG file navigate to it using 7-Zip file navigation interface and click on the file name. You can also type a path to your file using an address bar at the top or select File->Open to open a file at specific location. This will open DMG file contents and you will be able to see what is inside it. 7-Zip will show file sizes, packed file sizes, created, modified and accessed dates for all files in DMG archive. If you want to extract part of the DMG archive or all of it click on “Extract” button in a toolbar. You will see a dialog where you can enter a destination path for extracted files. It will also show decompressed size of the files to be extracted and other extraction job details. DMG Extractor is a software which as follows from its name allows opening and extracting DMG files. Free version of DMG Extractor only allows to extract one file at a time which may make process of retrieving files from DMG cumbersome. 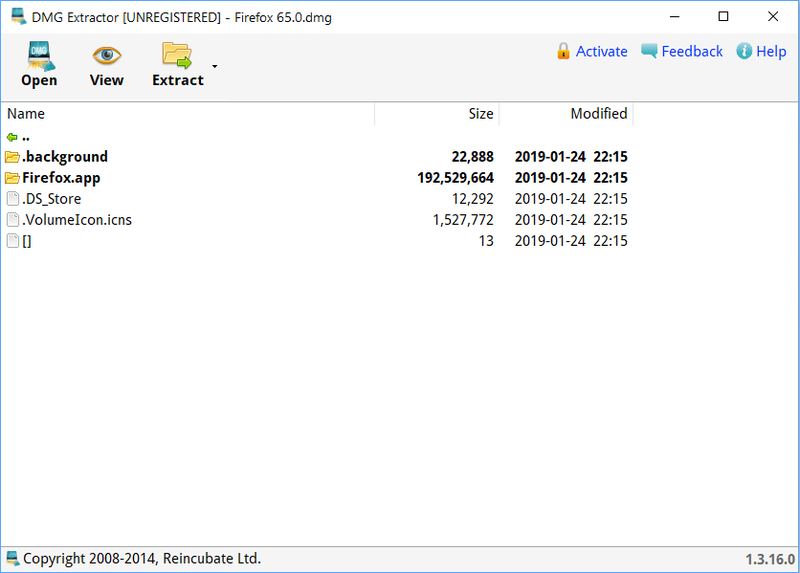 Thus 7-Zip is still our first choice for DMG file extraction. 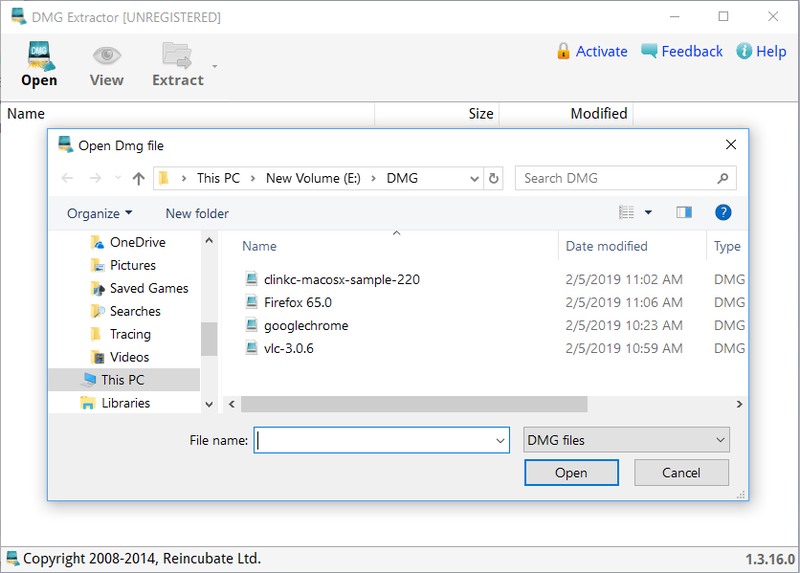 But if 7-Zip is unable to open your DMG file or you just want to extract one file from DMG then you can try DMG Extractor since it supports many different DMG formats. In order to open DMG file in DMG extractor click on the Open button in the toolbar. Select the file you want to open and click on Open button in “Open Dmg file” dialog. 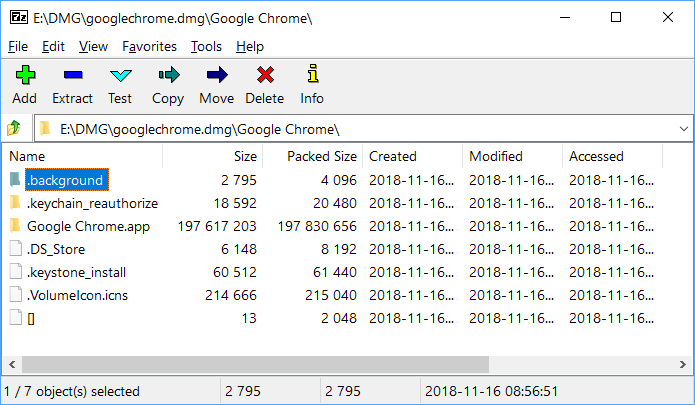 After that you will see contents of the DMG file in DMG Extractor main window. Select files that you want to extract and click on Extract button in the toolbar. 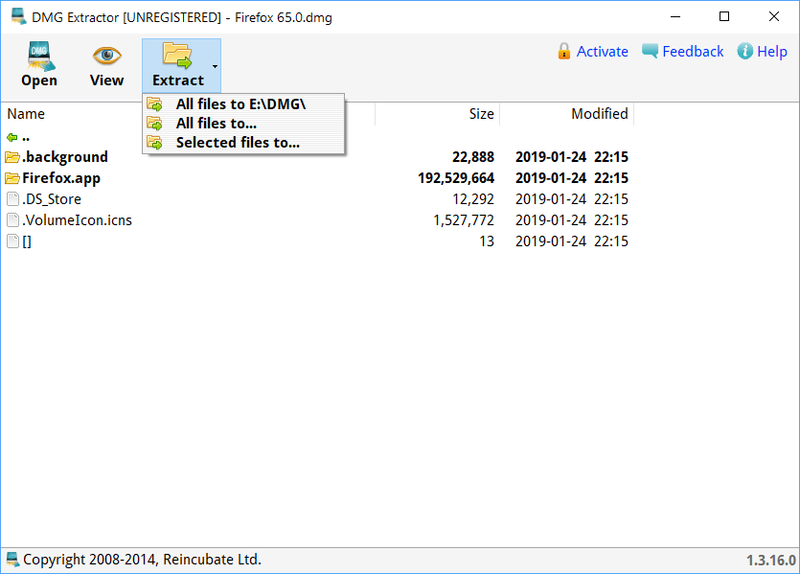 DMG Extractor will ask you to select where you want your files to be extracted and after confirming that your files will be extracted to the selected location. If you need to extract more than one time you will need to purchase full license of DMG Extractor or use 7-Zip.